Because celebrities closely guard their names and likenesses, lawsuits claiming high-dollar amounts for violations of those rights are not unusual. But a lawsuit for $2.2 billion dollars for a non-celebrity claiming a restaurant improperly co-opted her photograph for an ad campaign? That’s rare. 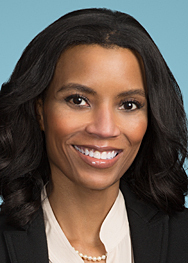 At year’s end, just before the expiration of the statute of limitations, a Sacramento woman named Leah Caldwell sued Denver-based Chipotle Mexican Grill, the company’s photographer, and Chipotle’s chief executive officer in just such a suit. In doing so, Caldwell showed that you don’t have to be famous to think your face is worth a billion dollars. But is it? Caldwell’s complaint alleges that in 2006 she dined at a mostly empty Chipotle near the University of Denver. There were no visible cameras and no signs posted indicating she was on camera or otherwise being filmed. However, when Caldwell tried to leave the restaurant, a photographer approached her and asked her to sign a release for a photograph he had taken of her while she was eating. Caldwell refused to sign the release and left. 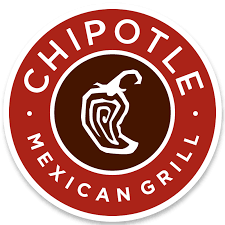 The Complaint further alleges that despite refusing to sign the release, nearly six years later, in 2014, Caldwell saw a photo of herself hanging on a wall in a Chipotle restaurant near UCSF in Orlando, Fla. And then a year later, Plaintiff saw the photograph on the walls of two Chipotle franchises in Roseville and Sacramento. According to Plaintiff, although she’d been eating alone, other people had now been photoshopped into the photograph and alcohol had been added to the picture to make it appear that Plaintiff was consuming alcohol when she had not been. Caldwell’s Complaint asserts two causes of action. First, she alleges a violation of California Civil Code 3344, California’s Right of Publicity statute, which prohibits the knowing, unauthorized use of another in a photograph for “purposes of advertising or selling, or soliciting, purchases of, products, merchandise, goods or services.” The person complaining of an unauthorized use must be readily identifiable in the photograph with the naked eye. Injured parties are entitled to $750 or actual damages and any profits attributable to the unauthorized use but not taken into account in computing the actual damages. Caldwell’s unusual complaint may face some hurdles. As an initial matter, the “knowing” element of right of publicity claims may prove problematic. From her complaint, the only person she had any interaction with and allegedly informed that she would not sign the release is the photographer. If the photographer represented to Chipotle and the CEO that he had the necessary consents to use the photograph and (as is customary) has an indemnity in his contract providing that if he fails to secure the necessary consents he will be liable to and indemnify Chipotle, these facts might cast doubt on Plaintiff’s allegations that Chipotle and their CEO knowingly used the photograph without her consent. In addition, Plaintiff Caldwell computes her damages by assessing all of Chipotle’s profits from 2006 – 2016. But she is only entitled to damages based on those profits attributable to the unauthorized use of her likeness. A trier of fact might find it difficult to believe that all of Chipotle’s profits for ten years are due to Caldwell’s photograph. Caldwell next asserts a claim for “Constructive Invasion of Privacy” without referencing a statutory provision. Presumably, she bases her claim on California Civil Code section 1708.8(b), which imposes liability on those using devices to visually record (or attempt to capture) private or personal activities. The statute seems more targeted at protecting celebrities’ private moments from paparazzi, than protecting individuals eating in a quick-serve restaurant, but the statute has teeth. Specifically, offending parties are liable for up to three times the amount of any general or special damages they cause and potentially punitive damages. If the plaintiff can show the invasion of privacy was committed for commercial purposes, the defendant is also liable for disgorgement of proceeds due to the violation, and a civil fine of between $5,000 and $50,000. Although the statute may not have been designed for a suit like this one, nothing specifically prohibits Caldwell from asserting a claim thereunder. Although Caldwell’s billion-dollar lawsuit is unusual, it refreshes an old lesson that remains important both in traditional mediums and in new media—whether in a brick-and-mortar establishment or in an online feed, secure written permission before you post customers’ photographs and images in advertisements. If angering a loyal client is not reason enough, imagine the potential costs of fending off a $2 billion dollar lawsuit.